Yomigaeru Sora was initially supposed to have a female protagonist with sharper animation. Due to Yuji Matsukura (J.C.Staff Executive Officer, Head of Production), Katsushi Sakurabi (Director), and Fumihiko Takayama (Series Composition) outvoting Kiyoshi Sugiyama (Producer), the story was changed to have a male protagonist with simpler animation. 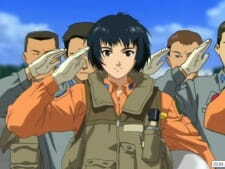 Sakurabi's original idea for the anime was made into pilot and the pilot was included with the 7th volume of the Limited Edition DVD Box Set.